Fresh, healthy meals using high quality, natural products. Easy pick-up items that you can take to-go or enjoy during drop-in play. Reasonably priced items portioned for both parents and minis. 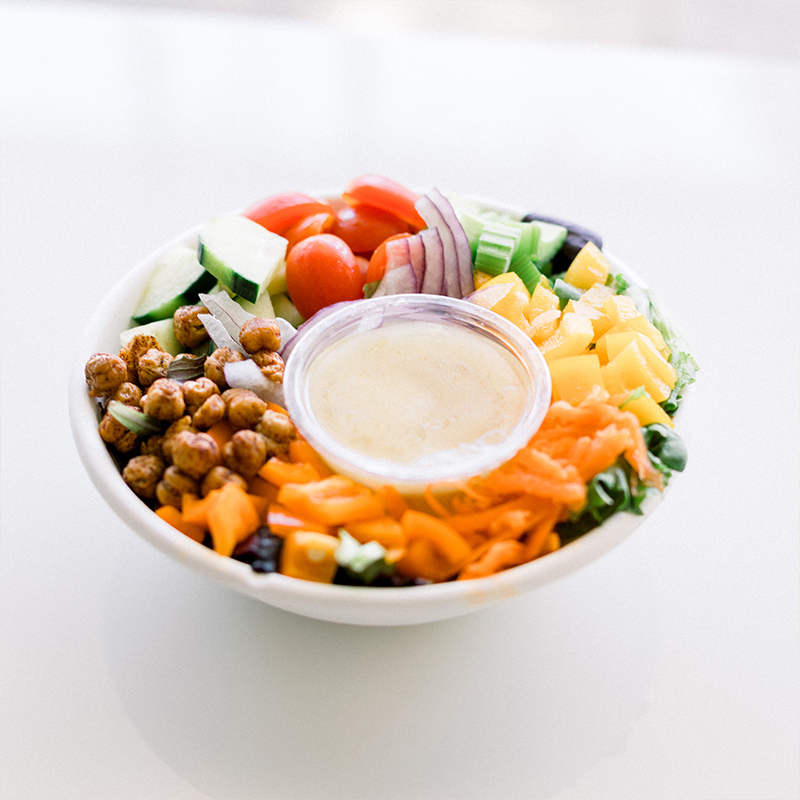 We also offer fresh menu items that can be ordered from our neighborhood restaurant, The Herb Box. We’re proud to serve Cartel cold brew on tap, fresh hot coffee, organic juice boxes, chocolate milk, assorted teas, sodas, and more. Please note: No outside food or beverages. Infant food is allowed. In an effort to make your visit as pleasant as possible, we offer an assortment of Bumkins Waterproof Bibs & Silicone Grip Dishes that your little one can borrow for your mealtime. To see our complete menu click here.